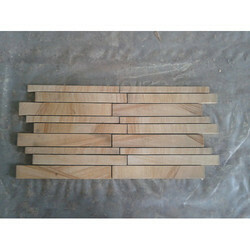 It is extensively used for wall-cladding, roofing, flooring and various other interior as well as exterior constructions. 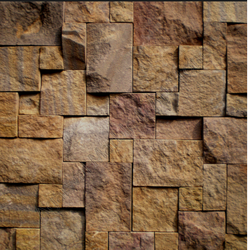 This is Forest Brown Marble Mosaic Tiles. These are available in Green and White Marble colors. We supply these marbles which are use full for flooring, wall cladding and roofing. These are manufactured with superior quality and are offered at reasonable price as per standards. This marble is the most popular material for decoration in monuments and memorials. We are offering wide range of Mosaic Mirror Tiles. The range of mosaic floor tiles is available in different color shades and patterns, at very reasonable price. The mosaic tiles for floors can be availed in many ready to deliver designs, sizes and colors. We take pleasure to introduce ourselves as one of the renowned firms for providing the best-in-class range of Modern Mosaic Tile.